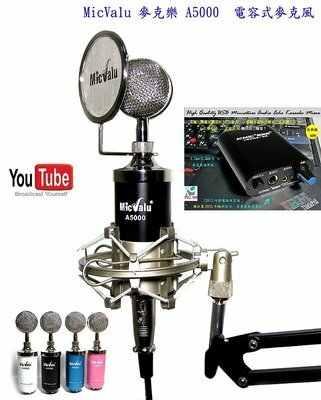 ☆保證音質細膩度超越 isk AT100 ,MicValu UP660否則退費! The Micool ECHO karaoke MIXER KM501 is an easy-to-use, yet sophisticated entertainment equipment designed and built with the goal of total entertainment. You may find that your DVD player has microphone jacks for Karaoke, but you also find that the so-called Karaoke features is not satisfactory at all. You can hardly hear what you sing, because the mixer built in the DVD player is not functioning well, none of the DVD players can do a real Karaoke even with Microphone jacks on it.The Micool ECHO karaoke MIXER MIXER SB0060 features two microphone inputs . Up to two microphone inputs can be mixed . The master volume control to control the overall sound level by pc. ☆適用作業系統： Windows 8 /95/98/NT/xp ,vista,window7.0,Mac.